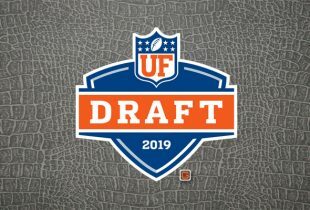 1 » Florida Gators student-athletes get plenty of respect but not much is ever written about their parents who, in some cases, are truly amazing people in their own right. Sure, some are ex-football or basketball stars, but there are others like right tackle redshirt junior Marcus Gilbert’s father Jeff who is a Secret Service agent for President Barack Obama. One of these such parents is freshman left tackle Xavier Nixon’s mother Fotini, a United States soldier in training to acquire the rank of E-9. After learning her son was earning his first start in the Orange and Blue, Fotini cried. But it was Xavier who had reason to be emotional just a few weeks prior when he heard about the shootings at Fort Hood, where his mother is stationed as she trains in the Sergeant Major Academy. “Thank God she was safe,” he said. 2 » Redshirt sophomore Rebecca Lowe was named South Regional Female Athlete of the Year while head coach Todd Morgan was named South Regional Women’s Coach of the Year by the U.S. Track & Field and Cross Country Association on Wednesday. Lowe, a standout for the No. 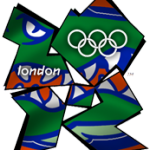 5 Gators, won the 2009 NCAA South Region Championship and 2009 Southeastern Conference individual title this season, leading the third-ranked Florida team to their third regional title in the program’s history. She was also named the 2009 SEC Cross Country Female Athlete of the Year last week. She will try to continue her hot streak as the Gators compete in the NCAA Championships on Monday, Nov. 23, in Terre Haute, IN. 4 » Wrapping up some Florida recruiting news: baseball has signed utility man Jacob Tillotson (Lake City, FL), who knew since his sophomore year of high school that he wanted to attend UF…softball grabbed pitcher Hannah Rogers (Lake Wales, FL), whose new teammates erupted in cheers when she was introduced to them…women’s swimming and diving signed six student-athletes to National Letters of Intent including U.S. Olympian Elizabeth Beisel (North Kingston, RI), Kaitlin Frehling (St. Petersburg, FL), Alicia Mathieu (Marlborough, CT), Alana Pezevic (Mill Creek, WA), Trish Regan (Carmel, IN) and Julia Treible (Roswell, GA)…and men’s swimming and diving added Stephen Lichtner (Miami, FL).